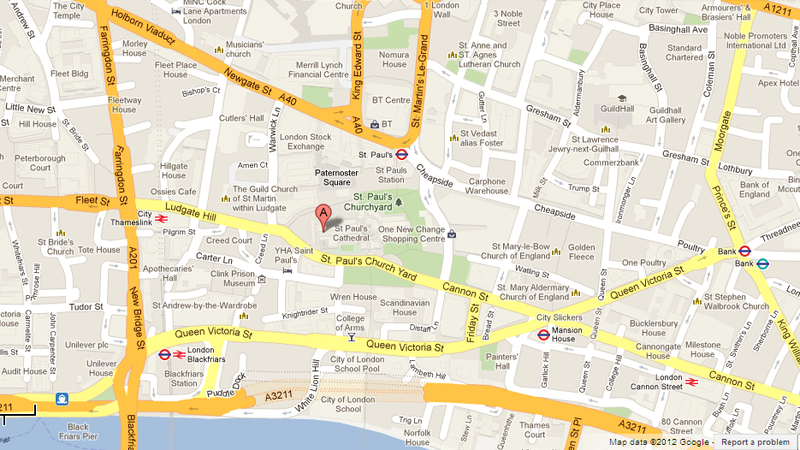 On the 22nd of May #OccupyOil will be holding a funeral procession for Dutch Shell Oil. In a turnaround we are calling for the end of Shell’s destructive behavior throughout the world, from the west coast of Ireland to the Niger Delta. Many people have lost their lives resisting the behavior of this unethical company. It time we said “Rest in Peace Shell”. Shell makes nearly £1.6m profits every hour. Help us say farewell to this 1% company. The Shell Corpse will leave at 845am. Bring noise, banners, black umbrellas and more importantly yourselves. 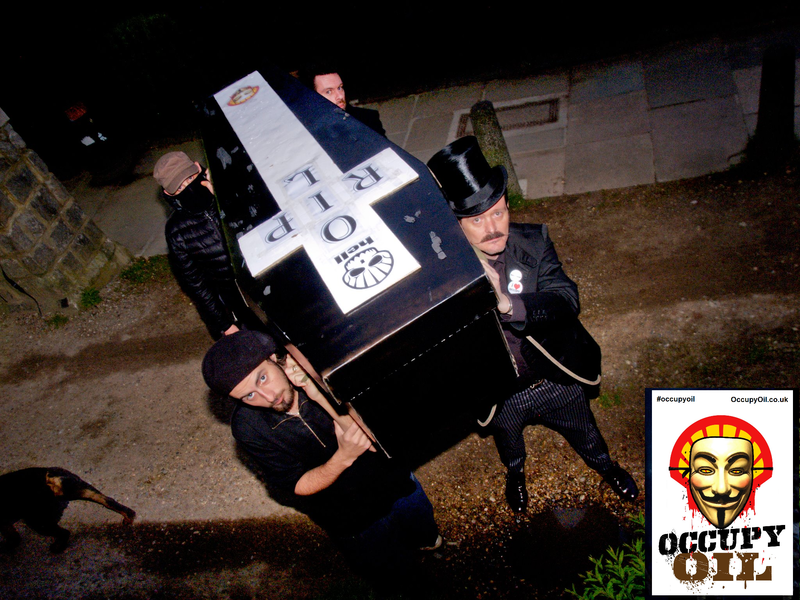 The City of London Police has unsuccessfully attempted to illicit information regarding the upcoming global event – Occupy Oil the Sequel (RIP Shell). PC Julie Hall (573CP) sent Occupy Oil an e-mail requesting the number of people who are attending this event along with the proposed action. Also sent with the e-mail was two PDF Application Forms. One being for a Procession protest (Appendix 1) and the other being for a Static protest. The Human Rights Act 1998 protects the right of every citizen to peacefully protest. These rights are listed under Article 10 and Article 11 of the Human Rights Act. Case law also establishes that the Police are not allowed to prevent any peaceful protest without good reason. It has come to our notice you and other groups are intending to hold some form of demonstration / precession at or around the Shell AGM on Tuesday 22nd May. We would like to speak to you regarding this so we can police the event proportionately. We would look to facilitate any peaceful protest but would appreciate you completing the attached form to provide us details regarding numbers and any proposed action. 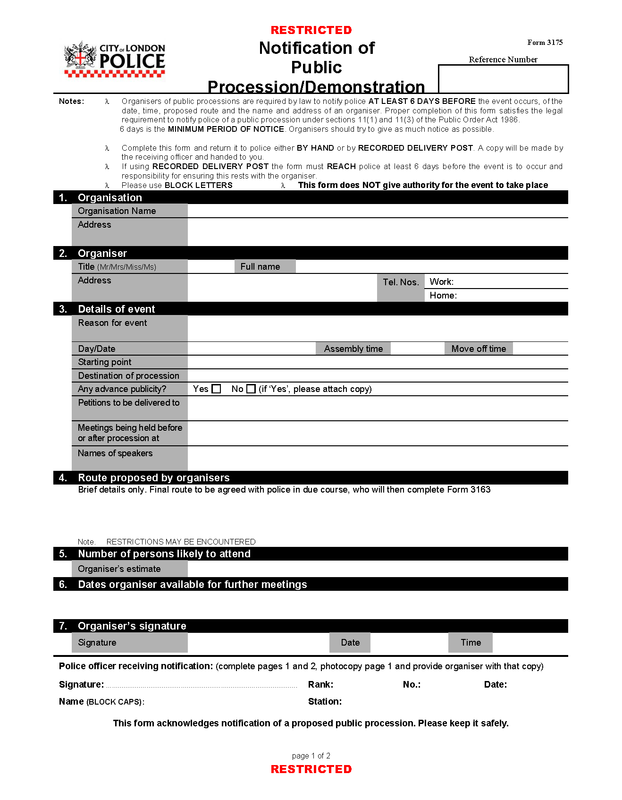 If you can complete the attached form and return it to us with as much detail as possible, I would be most grateful – alternatively please give me a call on 020 7601 2592. Let’s make a stand this May 22! A test case taken by John Halford to challenge the policing of an anti-war demonstration at RAF Fairford in 2003. The House of Lords ruled that the claimants’ Article 10 and 11 ECHR human rights to freedoms of speech and assembly were breached and that peaceful protest can only be prevented in the most extreme circumstances, a development the most senior House of Lords judge, Lord Bingham, described as a ‘constitutional shift’. A challenge to a police decision to unlawfully arrest, search, handcuff and film over 60 peaceful protesters gathered inside a social centre at Earl Street during the 2009 G20 protests. Gwendolen Morgan and Stephen Grosz acted for the majority of the protesters, who were awarded damages resulting out of their treatment by way of civil claims. The police also agreed to destroy the films and photographs of the claimants and not place their data on the Police National Computer. John also represented a number of activists who were kettled and beaten while protesting at the April 2009 G20 Climate Camp. On Thursday 14 April 2011, the Divisional Court ruled that the use of kettling and force against 4000-5000 represented an unlawful policing operation. Offensive “shield strikes”, were ruled “unnecessary” and “unjustified”. Instructions to subordinate officers were “not satisfactory very general and imprecise”. During the course of the evening “officers declined to release people who should have been released.” Police evidence given direct to the Court by the senior officer responsible for the operation, CI Johnson, that groups within the Climate Camp were intent on disorder and criminality was “not… convincing” according to the Court. A judicial review of the Kingsnorth Climate Change Camp policing operation brought by John Halford on behalf of the well-know activist Dave Morris and 11 year old twins. The secret police policy of subjecting those who wanted to pass through and join the protest to multiple stops and searches of was ruled to be unlawful and a breach of protestors’ Article 8, 10 and 11 rights. A civil claim arising out of the successful judicial review was settled with a significant payment, an apology and Kent’s agreement to disseminate an agreed letter setting out the ‘lessons learned’ to all other UK forces.